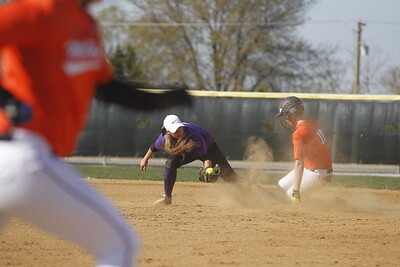 Matthew Apgar - mapgar@shawmedia.com McHenry's Erika Breidenbach makes the flip to first base to get the out on Hampshire's Lauren Egger during the first inning of their varsity softball game on Thursday, April 30, 2015 at Hampshire High School in Hampshire. McHenry won the game 8-0. 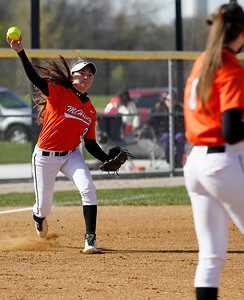 Matthew Apgar - mapgar@shawmedia.com Hampshire takes on McHenry during their varsity softball game on Thursday, April 30, 2015 at Hampshire High School in Hampshire. McHenry won the game 8-0. 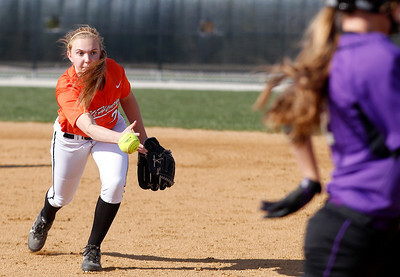 Matthew Apgar - mapgar@shawmedia.com Carly Mattson of McHenry makes the long throw from third base to register an out against Hampshire during the first inning of their varsity softball game on Thursday, April 30, 2015 at Hampshire High School in Hampshire. McHenry won the game 8-0. 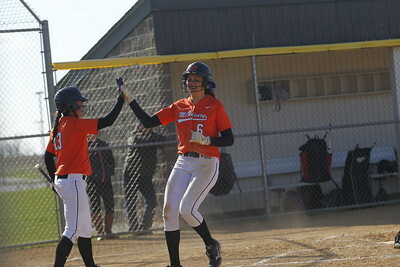 Matthew Apgar - mapgar@shawmedia.com Sophie Migacz of McHenry connects for an RBI single in the second inning of their varsity softball game against Hampshire on Thursday, April 30, 2015 at Hampshire High School in Hampshire. 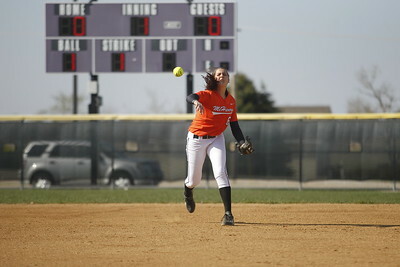 McHenry won the game 8-0. 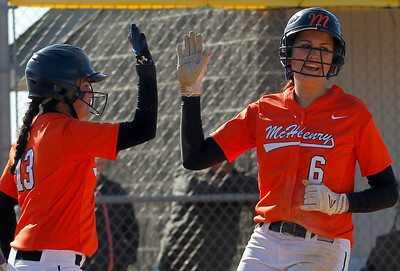 Matthew Apgar - mapgar@shawmedia.com McHenry's Hannah Crowley, left, congratulates teammate Alex Martens, right, after scoring a second inning run against Hampshire during their varsity softball game on Thursday, April 30, 2015 at Hampshire High School in Hampshire. McHenry won the game 8-0. Matthew Apgar - mapgar@shawmedia.com Hampshire's Aly Snider holds onto the ball as she registers a second inning force out at second base on McHenry's Sophie Migacz during their varsity softball game on Thursday, April 30, 2015 at Hampshire High School in Hampshire. Migacz drove in teammate Alex Martens on her at-bat, scoring the first of eight runs in the 8-0 final score. 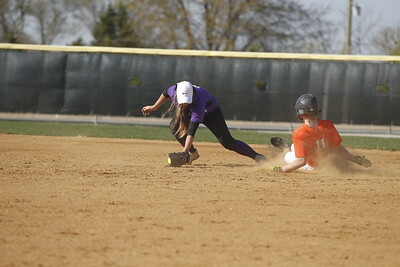 Matthew Apgar - mapgar@shawmedia.com Hampshire's Melissa Esparza slides safely into second base, beating the throw to McHenry's Alex Martens in the bottom of the second inning during their varsity softball game on Thursday, April 30, 2015 at Hampshire High School in Hampshire. McHenry won the game 8-0. 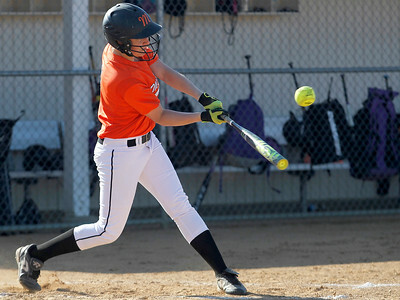 Sophie Migacz of McHenry connects for an RBI single in the second inning of their varsity softball game against Hampshire on Thursday, April 30, 2015 at Hampshire High School in Hampshire. 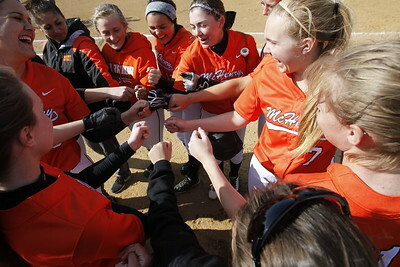 McHenry won the game 8-0.